Check in staff was very pleasant and quick. Hotel is well maintained. Property is under renovations. Lovely quiet location. Spacious rooms. Will be wonderful when renovations are completed. Where to find St. Johnsbury hotels near an airport? 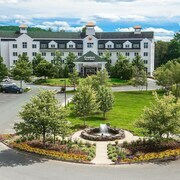 Where can I find hotels in St. Johnsbury that are near tourist attractions? 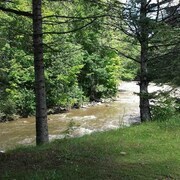 Spending a bit of time in Northeastern Vermont - St. Johnsbury and would like to stay in St. Johnsbury? Within 0.1 kilometres (0.06 miles) of the heart of town, you'll find 2 Expedia-listed accommodation options. 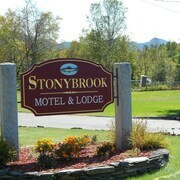 There are only a handful of hotels to choose from within easy walking distance from the center of St. Johnsbury. The Fairbanks Inn is an ideal option as it is only 3 kilometres (2 miles) away. 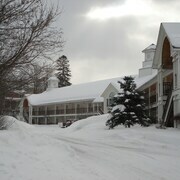 The Comfort Inn & Suites Near Burke Mountain is positioned 3 kilometres (2 miles) from the central part of St. Johnsbury. Alternatively, the The Franconia Inn is located 30 kilometres (20 miles) away. 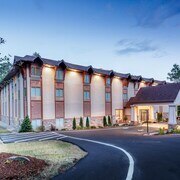 If you'd prefer, you could check out the amenities and rates at the Hampton Inn Littleton or the Inn at Sunset Hill. Before you leave Northeastern Vermont - St. Johnsbury, why not make sure you experience some local sport. Visit Thompson Arena to the south of St. Johnsbury. 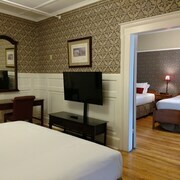 For travelers who are keen on sleeping nearby, make a reservation in the Hanover Inn Dartmouth or Six South St Hotel. Located 90 kilometres (56 miles) away from St. Johnsbury is Burlington International Airport. 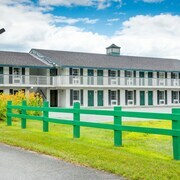 Stay nearby at Sonesta ES Suites Burlington VT or Courtyard by Marriott Burlington Williston. What are the most popular St. Johnsbury hotels? Are there hotels in other cities near St. Johnsbury? 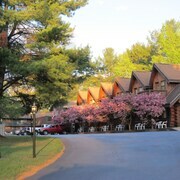 What other types of accommodations are available in St. Johnsbury? Explore St. Johnsbury with Expedia.ca’s Travel Guides to find the best flights, cars, holiday packages and more!